Way back in April of this year I put up this post regarding what appeared to be the label for an all new version of the fabled Ardbeg Supernova. Then one day in September it all came to life for me when a surprise care package arrived at work from the kind people at Moet Hennessey. A whole two months passed before I could find the time to sit down and properly enjoy it, but I finally got that chance over the weekend. So as the mercury hit a positively nippy 42°c (107°f) here in Sydney, I drew the curtains, grabbed the camera, cranked the air-conditioning and got to it. Many probably know the back-story to this bottling, but just in case you don’t, here’s what you need to know. 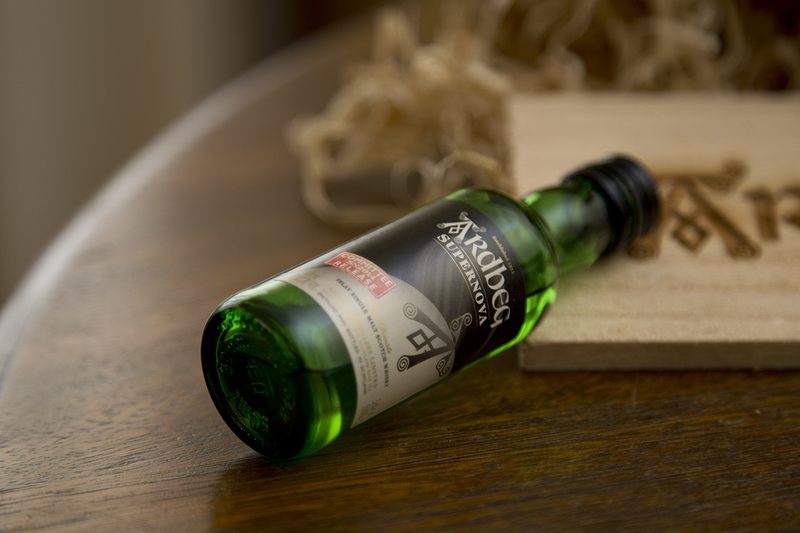 A few years back, Ardbeg sent some tiny whisky samples into space for what would become known as the Ardbeg Space Experiment – analysing the effect of zero gravity. It seemed only fitting that to celebrate their return to earth a special whisky should be released. Enter: Ardbeg Supernova 2014 (SN2014). It’s not the first time Ardbeg have used the Supernova moniker before though. Ardbeggians would be well aware that way back on 20 January 2009, Ardbeg released 2,400 bottles of the original Supernova to Ardbeg Committee members. They promptly sold out in a matter of hours. Given the success, the committee release was soon followed by a broader ‘Stellar release’ of Supernova (SN2009), bottled at 58.9% ABV and peated to ‘over 100 parts per million (ppm)’. By comparison, Ardbeg Ten is peated to somewhere in the region of 55 ppm. Clearly this went down well with peat fans, as it was followed up the very next year in May 2010 with another Supernova (SN2010) bottled at a hefty 60.1% ABV and again peated to 100+ ppm. Parts per million (ppm) is a scientific measurement and isn’t necessarily a good one when it comes to measuring taste or aroma. For example, you shouldn’t expect a whisky rated at 100 PPM to smell and taste twice as smoky or peaty as one rated to 50 PPM. Not quite sure why? Have a read of this blog post. With the cult following (and sometimes astronomical prices) of the two previous Supernovas, I’ve never actually tried them. As a result, I’m approaching this new SN2014 release with somewhat fresh eyes (and nose and tastebuds). That could actually be a good thing though, as I won’t be comparing this new release to the Supernovas of years gone by. So what do we actually know for certain about this whisky? Not a whole lot to be honest. It’s bottled at 55% ABV and is ‘limited’, but other than that, we don’t know its age or how many bottles were produced, nor do we know what kind of casks it’s comprised of, or the level of peating the malt has been subjected to (ppm). On one hand the whisky nerd in me really, really wants to know all of this stuff and more. On the other hand though, not knowing isn’t such a bad thing I suppose. I’ll be drinking it because it’s Ardbeg and I know I like Ardbeg, but beyond that, there’s no other detail getting in my way, setting subliminal expectations or clouding my judgement. When first poured I found this immediately smoky and charred. It’s ashy and peaty, but in a real dusty and earthy kind of way – not in a saline heavy, charred meat or medicinal fashion. A second nosing delivered hot coals, some hay/grassy notes and something akin to charred zesty lemons. After a good few minutes in the glass the smoke subsides (ever so slightly) and some sweeter vanilla notes become apparent. This become a lot more balanced, malty and complex with some air time. First sip is oily, immediately followed by a decent amount and heat of spice right at the tip of my tongue, along with some sweet yet salty brine notes. As soon as you swallow that mouthful though – wow – hugely smoky, more so than the nose suggests. It’s bittersweet, immediately drying, tangy and charred. I found the finish on this almost came around full circle, bringing to the palate those drying earthy hay notes from the nose. The peaty coal smoke lingers for the full length of the warming finish. 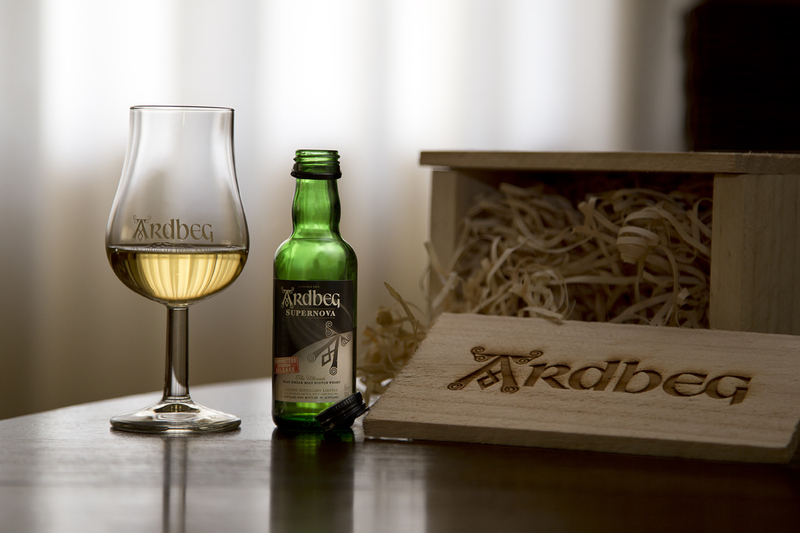 I felt as though I could notice a definite lineage to the classic Ardbeg Ten, but there’s no way you’d ever confuse the two. 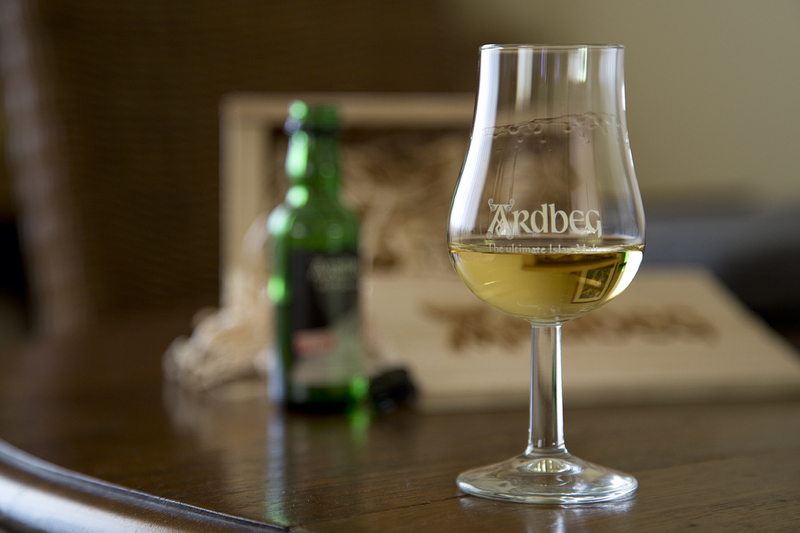 The Ardbeg Supernova 2014 goes on sale in Australia in December. It’s available through Ardbeg Embassies or direct from Moet Hennessey Collection online at a retail price of AU$240. Whilst I haven’t been able to confirm the exact number of bottles landing on our shores, I’ve heard rumours of it being in the hundreds, so no dilly-dallying if you want one! Label mock-ups for Glenmorangie’s latest Private Edition release have just appeared online and if the labels are anything to go by, Tùsail sounds like a rather interesting one. Unlike the five annual releases before it, Tùsail doesn’t appear to get its unique point of difference from the wood used in the maturation process. Instead, it looks like Dr Bill Lumsden and his team of boffins have had a crack at playing with the bare bones of this whisky instead, using a traditionally floor malted Maris Otter barley. Maris what? A brewers barley, developed in the late 1960’s and often used in the production of premium ales. I personally can’t recall ever having tasted a Glenmorangie produced with traditional floor malted barley (well, not that I’m aware of anyway), so this could be interesting. As with previous Private Editions, it appears that Tùsail will again be bottled at 46% ABV and will be non chill-filtered. No further info on price or release dates, but if previous releases are anything to go by, select northern hemisphere markets should expect to see this late December or in January 2015. Fingers crossed this makes it to Australia early next year. The Balvenie TUN 1401 gets a new sibling? It looks like the good folks at William Grant & Sons have been rather busy of late. If these label approvals are anything to go by, we might be able to expect a couple of new offerings from two of their stalwart distilleries, plus a well-aged offering from one of their a rarely seen, long-closed distilleries. 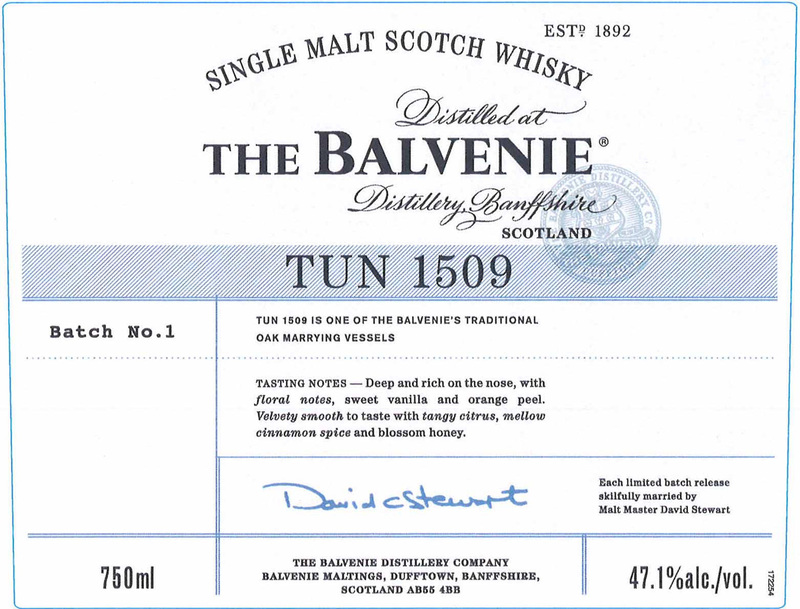 First up is The Balvenie TUN 1509 – a younger brother to the fabled TUN 1401 perhaps? ‘Younger’ is purely my own speculation. But given the average age of the various TUN 1401 batches is often around the 30 year mark, I can’t imagine The Balvenie would be releasing another vatted malt into their line-up that was any older. We’ve seen nine batches from the TUN 1401 series now and the Taiwanese exclusive TUN 1858 has also seen two releases over the last few years. So what to make of this latest release? A third permanent offering in the revered TUN series? A replacement for the others? Your guess is as good as mine, but there’s one thing we can be fairly sure of, and that’s the fact that this will fly off shelves. This next one sounds like an interesting concept. As you’ll read on the label, Glenfiddich looks to be releasing a new no age statement expression inspired by their original Straight Malt. If you’re unsure of the significance, in 1963 the Glenfiddich Straight Malt was pretty much the first single malt whisky to be actively branded as such and exported around the world. Although label details have only recently been released, I came across this curious blog post which indicates that this project may have been in the works for a number of years. 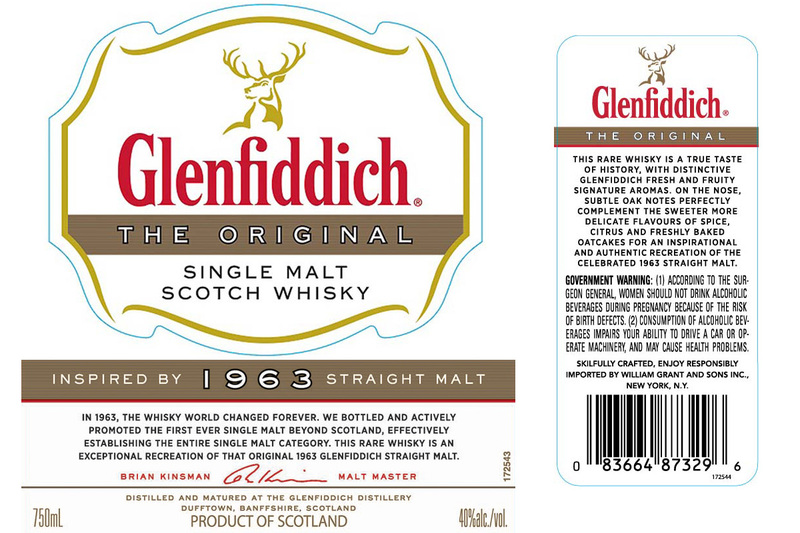 Was the Glenfiddich ‘The Original’ tested on distillery visitors under the working title of Glenfiddich ‘Retro’? It certainly sounds like it! If you’ve never heard of Ladyburn, there’s a pretty good reason for that. The final casks of this Lowland malt were laid down 39 years ago, back in 1975. Adding to that, the distillery itself was operational for a mere 9-10 years in total. From what I can tell, the last official release was a 1973 Ladyburn bottled back in the year 2000 at 50.4% ABV. Aside from a handful of independent bottlings since (sometimes under the name Rare Ayrshire), this is malt that’s rarely seen indeed. 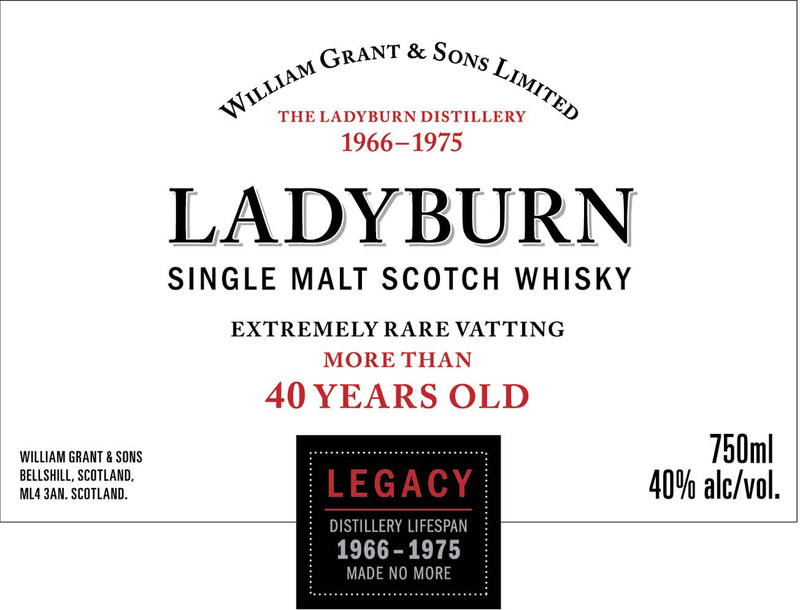 Nice to see a new official bottling of Ladyburn from William Grant & Sons, but some might find the 40% ABV a tad disappointing (if indeed, that’s what it ends up being).